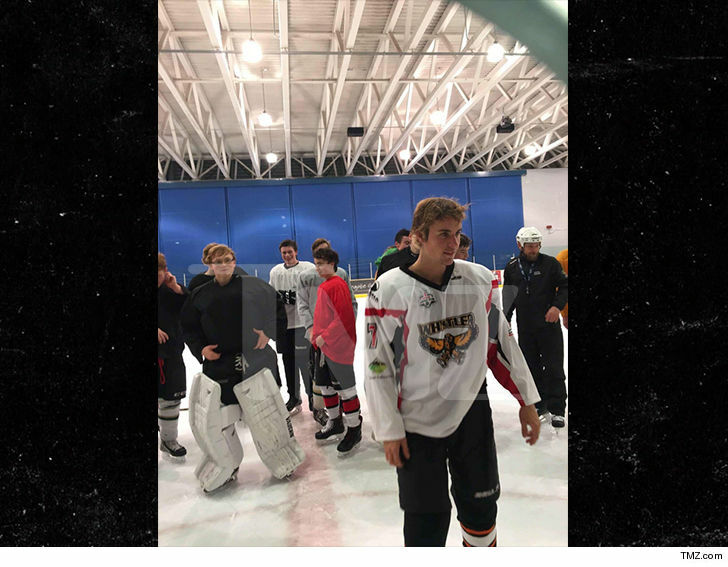 Justin Bieber spent his Thanksgiving playing a bunch of high school kids in hockey in his native Canada … and gf Selena Gomez wasn’t there to cheer him on. The Biebs jersey-ed up with Whistler ‘A1’ Winterhawks hockey team, a team made up mostly of minors in Whistler, B.C. We’re told someone from the Biebs entourage called up the Winterhawks coach and asked if he could practice with the team. The players had no idea he’d be joining them. Justin ended up scrimmaging with them Thursday night during practice, since Canadian Thanksgiving is in early October. Hockey’s been a big hobby for Justin since he canceled his Purpose tour earlier this summer. As for Selena, she was down in Texas doing Turkey Day with her family.